Jonathan L. Kotlier chairs Nutter’s White Collar Defense practice group. Numerous corporations and individuals rely on Jonathan’s extensive experience and expertise in white collar criminal and complex civil cases and investigations involving alleged securities fraud, health care fraud, Foreign Corrupt Practices Act violations, environmental crimes, government contracting fraud, and False Claims Act violations. Prior to joining the firm in 2004, Jonathan was Chief of the Economic Crimes Unit of the U.S. Attorney’s Office in Boston. Corporations and special litigation committees frequently engage Jonathan to conduct internal investigations on their behalf. He recently represented executives at several different pharmaceutical companies in investigations involving off-label promotion and False Claims Act violations. He regularly represents individuals and corporations before the Securities and Exchange Commission (SEC), FINRA, and the Massachusetts Securities Division. Jonathan has an outstanding track record of persuading prosecutive agencies not to bring actions against his clients. His many successful representations have earned him recognition from Chambers and Partners. Blood laboratory in a whistleblower suit alleging fraudulent billing practices. Convinced judge to reconsider and change his ruling that laboratories are not obligated to certify the medical necessity of physician-ordered tests. (U.S. ex. rel. Groat v. Boston Heart Diagnostics, 2017 WL 6327540 (D.D.C. Dec 11, 2017)). Pathology laboratory sued in a qui tam action under the False Claims Act. Negotiated a very favorable settlement with the U.S. Attorney’s Office and the Massachusetts Attorney General’s Office. Regional health insurance plan in qui tam lawsuit alleging billing improprieties. Motion to Dismiss was granted. Senior executive at a pharmaceutical company investigated for off-label marketing. Neurosurgeon who was investigated by the U.S. Attorney’s Office in Rhode Island for having committed criminal violations of the False Claims Act relating to alleged improper billing. No criminal charges or civil claims were brought against the client. Major university in federal investigation of alleged False Claims Act violations. Closely held high tech company in litigation brought by a minority shareholder claiming a breach of fiduciary duty. After extensive litigation, a favorable settlement was reached. Several individuals investigated by the SEC and U.S. Attorney’s Office for insider trading. Parametric Technology Corporation in a suit brought in federal court in Boston by GE Capital Leasing Corp. alleging violations of RICO. PTC’s motion to dismiss was granted. Advest (acquired during the litigation by Merrill Lynch) was sued in federal court in Boston by bond purchasers who claimed that Advest was negligent in underwriting the bond offering. The court granted Advest’s Motion to Dismiss, which was affirmed by the First Circuit (ACA Financial v. Advest, 512 F.3d 46 (1st Cir. 2008)). National health insurance company relating to allegations of fraudulent billing practices. Special Litigation Committee of the board of directors of a chemical company in its investigation of claims of breach of fiduciary duty by the CEO. Aluminum company that contracted with various government entities and was facing possible debarment by the U.S. Army’s Suspension and Debarment Office for alleged fraudulent billing. No action was taken. Associate professor at a major research university in an investigation by the U.S. Attorney’s Office into academic fraud relating to grant applications. Legal malpractice action on behalf of a large international company against its trial counsel, an Am Law 50 law firm, which had defended the company in a breach of contract action in which a jury had awarded damages to the plaintiff in the amount of $28 million. A very large settlement for the client was negotiated. Appointed by the Massachusetts Supreme Judicial Court as special counsel to investigate allegations of improprieties within the judicial system. Jonathan has a long and successful history as a trial attorney. While at the U.S. Attorney’s Office, he gained extensive experience trying complex white collar criminal cases involving securities and investor fraud. He has tried to verdict over 20 jury trials. As chief of the Economic Crimes Unit, he worked closely with the SEC and the Massachusetts Division of Securities to develop many successful securities fraud prosecutions. He prosecuted, and supervised the prosecution of, numerous securities fraud cases involving accounting fraud, FCPA violations, market manipulation, investment advisor fraud, and insider trading. He served on the Securities and Commodities Fraud Working Group of the Department of Justice. Jonathan continues his leadership outside the firm as a member of, and past co-chair, the Criminal Justice Section of the Boston Bar Association, where he has moderated the annual securities enforcement program for several years. Recently, he was selected to be a member of the BBA’s Amicus Committee. We represented the SLC of the Board of a green chemical company in its investigation of claims of breach of fiduciary duty. We represented a large international company in a legal malpractice action against its trial counsel, which had represented the company in a breach of contract action in which the jury had awarded the plaintiff $28 million dollars. Trial counsel had made a series of errors during the trial. We successfully negotiated a very large settlement on behalf of our client. Parametric Technology Corp. (“PTC”) was sued by GE Capital Leasing Corp. (“GECL”) in federal district court in Boston. GELC alleged violations of RICO, claiming that PTC’s Japanese subsidiary had defrauded GELC which had loaned funds to Toshiba, a PTC customer. After litigating this case for over a year, the federal district court in Massachusett granted PTC’s motion to dismiss the Complaint. Bond purchasers sued Advest in federal district court in Boston claiming that Advest was negligent in underwriting a bond offering on behalf of Bradford College. The Court granted Advest’s Motion to Dismiss (affirmed on appeal in a lengthy opinion reported at ACA Financial v. Advest, 512 F.3 46 (1st Cir. 2008). We represented a neurosurgeon who was being investigated for having committed criminal violations of the False Claims Act involving alleged billing for unnecessary overnight hospital stays. After much back and forth, we convinced the federal prosecutor not to bring criminal charges or civil claims against our client. We represented a Special Litigation Committee of the Board of Directors investigating allegations in a shareholder derivative complaint. The Complaint alleged that members of the Board breached their fiduciary duty in failing to disclose to the public/shareholders material information about problems with financing that allegedly threatened large projects and in selling shares while in possession of that information. The investigation included interviews of board members and upper level management, culminating with drafting a lengthy Report on behalf of the Special Litigation Committee. After communicating findings to counsel for the shareholders, they determined not to proceed with their derivative action. We represented a managing director of a private equity firm in a series of lawsuits alleging fraud and breach of fiduciary duty. The private equity firm had purchased a controlling interest in a California health care company. The CEO and CFO took money out of customer accounts. The managing partner and the firm were sued by a company that acquired the health care company, by customers, and by the trustee in bankruptcy. In the several lawsuits that were filed, we were successful in getting the courts to grant our motions to dismiss and motions for summary judgment. One of the cases went all the way up to the California Supreme Court. We have represented numerous individuals in insider trading investigations conducted by the Securities and Exchange Commission. We have been successful in convincing the SEC not to bring claims against our clients, including through the Wells process. We represented a not-for-profit company that was alleged to have submitted false billings to the U.S. government. After conducting a lengthy investigation, the government declined to bring an action against the company. We represented the managing partner of a national broker-dealer in a failure-to-supervise investigation conducted by FINRA. FINRA took no action against our client. We have represented a large, regional health insurer in a series of litigation matters.We have represented a large, regional health insurer in a series of litigation matters. 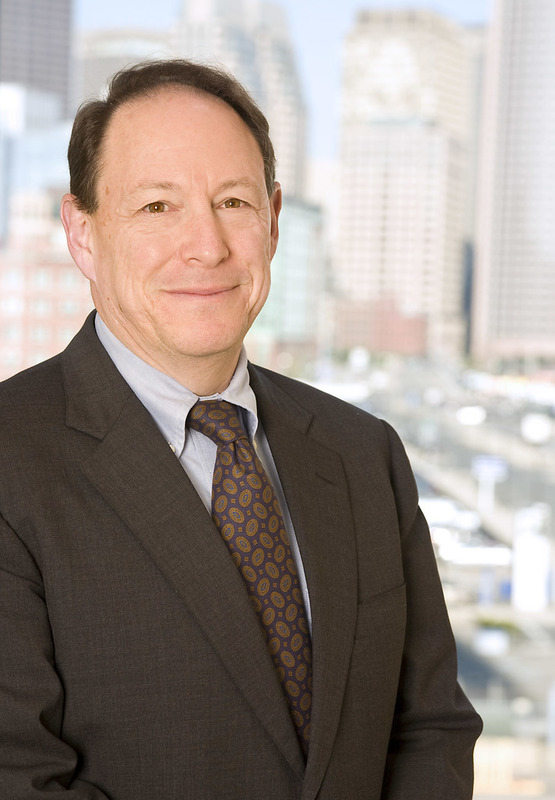 Prior to joining Nutter in 2004, Jonathan was Chief of the Economic Crimes Unit of the U.S. Attorney’s Office in Boston, where he worked closely with the SEC and the Massachusetts Division of Securities to develop many successful securities fraud prosecutions. He prosecuted, and supervised the prosecution of, numerous securities fraud cases involving accounting fraud, FCPA violations, market manipulation, investment advisor fraud, and insider trading.